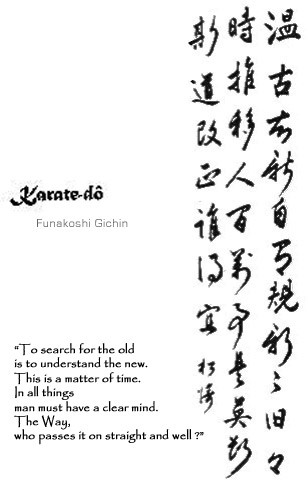 When considering the implications of the evolution of karate to Karate-Do one must consider the forms by which to motivate a higher meaning in training. It will not do to maintain old methods of training when the philosophy of the art evolves beyond the, previously, mostly physical cultivation of technique. 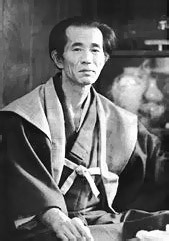 Funakoshi Gichin Funakoshi is famous for his insightful developments of Karate, which eventually led to the formulation of Karate-Do and Shotokan-Ryu (by the influence he projected onto his pupils). 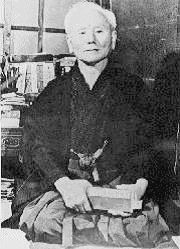 Egami exemplified the assimilation of the teachings of Funakoshi and even further developed the philosophy of the way, as did most other serious contemporaries. Consequently these insights of contemplative karate have been adopted by most advanced schools of karate(-do) and are continually developed.